This definition is often broken down into four criteria. A prohibited gambling offer is regarded as any game: (1) that is offered to the public; (2) that presents a chance of gain for the players; (3) whose outcome partially results from chance; and (4) that requires a financial contribution from the player, regardless of the actual designation and nature of such game, and whether a later reimbursement of the financial contribution is possible or not. In addition, Law 2010 476, dated 12 May 2010, relating to the opening and regulation of the online gambling market (the Online Gambling Law) specifies that ‘online gambling’ should be seen to be any gambling or betting operation performed exclusively through an online communication service, and that ‘online gambling operators’ are all persons offering to the public, on a regular basis, online gambling or betting services with stakes having a monetary value and under terms and conditions that constitute a standard agreement to be accepted by the players. 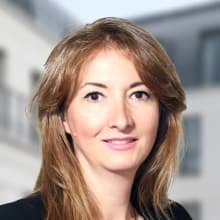 Under French law, agreements relating to gambling and betting are to be construed as aleatory contracts, in which the importance of the profits and losses incurred by either or both parties shall depend on the occurrence of an uncertain future event. Gambling on games of chance has been forbidden for a very long time under French law, and this prohibition is currently expressed in Article L.322-2 of the HSC. In addition, a new Article L.322-2-1 has recently been introduced specifically for the purpose of indicating that ‘such interdiction shall also apply to games whose functioning relies on the player’s skills’. The classic differentiation that existed under French law between wagering on games of chance or wagering on games of skill – the former being forbidden and the latter licit – has thus been abandoned, and both types of wagers are now explicitly prohibited under French law, as French authorities considered that the dangers of compulsive and addictive gambling do not vary with the degree of skill or chance required. If the prohibition of gambling can thus be considered a general principle of French law, it is important to note that a very important number of exceptions and specific regimes do exist. From the state-owned gambling operator to traditional cockfighting, through the countless online offers, the study of French gambling law is that of a series of exemptions and exceptions detailed herein. The French National Lottery was created in 1933 for the purpose of aiding war veterans. La Française des Jeux (FDJ), the state-owned gambling operator, was founded in 1976 and inherited the exclusive rights on the organisation of lottery games that had previously been granted to the French National Lottery. In 1985, sports betting was authorised in France for the first time and exclusive rights on the organisation of such activity were also granted to the FDJ by decree. However, with the coming into effect of the Online Gambling Law, the FDJ applied for and obtained a licence as an online gambling operator, and was confronted with competition for the first time. The FDJ ventured into the organisation of online poker events, but it quickly withdrew from such activities. The FDJ also developed a complete online sports betting offer. The FDJ, however, remains a giant in the French gambling market. Horse betting in hippodromes was authorised and regulated in France in 1890. In 1930, horse racing companies, which were solely allowed to organise horse betting, were authorised to propose betting on their races outside of hippodromes. Those licensed horse racing companies decided to establish a common structure, the Pari Mutuel Urbain (PMU), to provide betters with a centralised service. In 1985, the PMU became an economic interest group, gathering 57 horse racing companies – all non-profit associations. Today the PMU is the largest European horse betting operator. Similarly to the FDJ’s situation with with sports betting, the PMU has been facing competition online after the online horse betting market was opened to competition and regulated by the Online Gambling Law in 2010, thus reducing the scope of the PMU’s exclusive rights. The PMU also decided to venture into the online gambling market following the coming into effect of the law, and obtained licences from the French Online Gambling Regulation Authority (ARJEL) to offer horse betting, sports betting and poker games online. The PMU has retained its exclusive rights on the organisation of land-based horse betting on the French territory, and has also become one of the largest operators of online sports betting in France. Casinos can be opened following a very specific licensing procedure, which involves public authorities at both national and local levels. Each individual casino needs to obtain a licence from the Ministry of Home Affairs, which can only be granted in specific geographic areas listed by the applicable law, which are detailed in Section I.iv below. Gaming circles were non-profit associations that were allowed to offer specific card games of chance to their members as long as the gaming activities they offered remained a simple accessory to other activities of a social, cultural or charitable nature. Gaming circles were not allowed in cities in which there was a casino, but numerous gaming circles existed within Paris. All but one of those have, however, been shut down by public authorities, and the single remaining one has been ordered to modify its legal structure into that of a gaming club, a new type of profit-based legal entity whose creation was recently authorised on a simple trial basis by the French National Assembly. The FDJ and PMU’s monopoly over online gambling and betting ended with the coming into effect of the Online Gambling Law, which authorised licensed privately owned online gambling operators to offer three types of online gambling services: sports betting, horse betting and gambling ring deck card games (although, poker was and remains the only such game authorised). Many private operators requested and obtained licences when the Online Gambling Law was first passed, but only 15 licensed operators still exist on the French online gambling market today. The licensing process and specific obligations imposed on online gambling operators are detailed further in the Section III below. Even though the French national territory is generally perceived as a whole and treated as such under the law, a few territorial issues specific to the regulation of gambling do exist. A few localities in Northern France and on the island of Réunion (a French overseas region located in the Indian Ocean) are allowed to maintain their gallodromes, traditional cockfighting pits, as cockfighting is an ancient local custom that has continued without interruption to this date. A few gallodromes still exist, however, the creation of any new one has been expressly forbidden by the French authorities. Instead of actual casinos, several gaming circles existed in Paris, but their offers were highly regulated and limited to a much smaller number of games than casinos. A new law on Paris, which was adopted in 2017 and came into effect on 1 January 2018,4 however, suppresses the specific regime applicable to gaming circles and authorises the government to experiment for three years with the creation of gaming clubs, a newly created type of legal entity, in Paris. If the territorial scope of gambling law obviously limits the actions that the French authorities can undertake in order to prevent offshore casinos targeting French consumers from a legal point of view, several mechanisms have been implemented by law to fight such practice and limit online access to such casinos from France. ARJEL was therefore authorised to request internet service providers and hosting providers to block the access to reported websites and search engine operators to stop referencing them. The ARJEL can also propose that the Ministry of the Budget impose measures for blocking financial flows. Illegal operators are also subject to criminal penalties. French gamblers do not incur criminal penalties – ARJEL simply insists on the fact that players willing to take such risks will not benefit from its protection and are more likely to be taken advantage of by fraudulent websites. Most regulations applicable to gambling and betting operations under French law are contained in the Civil Code, the Homeland Security Code and the Online Gaming Law, but the provision of a number of other gambling products is governed by specific laws and regulations. 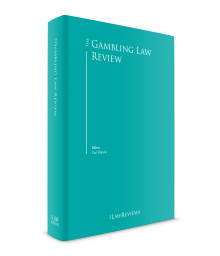 Civil, commercial and criminal courts have all rendered decisions whose study is relevant when considering French gambling law as an ensemble, but statutes remain the primary source to examine in France. Indeed, in terms of gambling, French case law is mostly limited to the interpretation of that primary source. 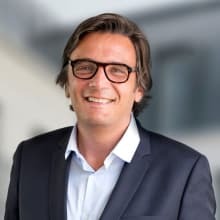 Over its decade of existence, ARJEL has delivered a number of decisions and opinions that have helped to outline the French gambling landscape, and the ARJEL website should be one of the first to consult when considering whether an online gambling activity could be licit under French law. Gambling in France is regulated by different public authorities and administrative bodies, whose jurisdiction depends on the nature of the considered gambling activity and, in particular, whether it is land-based or online. The monopolistic activities of the FDJ and the PMU are mostly governed by specific laws. The FDJ acts under the supervision of the Ministry for the Economy and Finance, while the PMU acts under the conjoined supervisions of the Ministry for the Economy and Finance, the Ministry of Home Affairs and the Ministry of Agriculture (because of the relationship between the PMU and the French equine industry). If local prefects perform most of the day-to-day administrative functions in relation to land-based gambling, diverse commissions (in particular, several committees within the Ministry of Home Affairs and the Ministry for the Economy and Finance) have exclusive regulatory powers in relation to specific gambling activities. Online gambling in France is supervised by ARJEL, a public entity created by the Online Gambling Law in 2010. ARJEL has vast and numerous powers and is, in particular, responsible for granting licences, enforcing online gambling regulations, as well as fighting against gambling addiction, illegal gambling websites, and fraud and money laundering. French gambling law, as previously discussed, is built around the principle of a general prohibition, in which successive laws have carved various exceptions and exemptions. Laws and regulations have defined the conditions under which the FDJ can offer lottery games or sports betting and the PMU can offer horse race betting, but land-based gambling itself does not have an actual definition under French law. Remote gambling does not have a legal definition either. The activities authorised under licence by the Online Gambling Law are indeed remote gambling, but they only cover internet-based gambling services and one should therefore consider that it does not apply to any other form of remote gambling (through post or phone communication, in particular). One should, however, note that ARJEL considers that the licence granted to Online Gambling Operators authorises them to offer mobile phone applications to provide access to their services, if such applications offer the necessary guarantees in terms of security and if the offered services are compliant with the granted licence. The most notable derogation from the prohibition of gambling in France dates back to a 1933 decree that authorised the creation by the French government of a monopolistic national lottery, which has survived to this date. This national lottery is now called the Loto and is managed by the FDJ, as detailed above. Besides the Loto, EuroMillions and the other games of chance offered by the FDJ, lotteries that are made exclusively for charitable or non-profit purposes, traditional lotto and bingo games offered to a limited audience for an insignificant price, fairground lotteries and promotional lotteries offered within the context of marketing campaigns can also be authorised, subject to compliance with a number of specific rules. Horse racing has an ancient history in France, and horse racing companies have been allowed to offer pool betting since the late 19th century (the term pari-mutuel and the concept it describes, which are now commonly used across jurisdictions, are originally French). Betting offers on horse racing are now subject to a monopoly entrusted to the PMU. As per the situation of the FDJ with sports betting, this monopoly still exists today but now only covers land-based horse betting. Sports betting has been allowed in France since 1985,10 but has been subjected to a monopoly. FDJ, the semi-public company that holds the monopoly on lottery games, was given exclusive rights on the organisation of sports betting in the French territory. If such monopoly still exists today, its scope has been reduced to only cover land-based sports betting since the adoption of the Online Gambling Law. Casinos are only allowed in specific areas in France, subject to a licence by the Ministry of Home Affairs and placed under the authority of such Ministry and that of the Ministry of the Budget. Casinos are heavily regulated and the very nature and rules of the games that they are allowed to offer is determined by public authorities. All gaming circles have closed down, except a single one in Paris, and a new form of company called gaming clubs has recently been created under French law. Gaming clubs must obtain a specific licence from public authorities and they are allowed to offer even fewer games than casinos, but they are not subject to the specific geographical restrictions applicable to casinos. Greyhound betting is also allowed, but greyhound races are not very popular in France and the audience interested in gambling on such events is quite confidential. The audience interested in betting on cockfights is even more limited, but the practice remains tolerated as part of a cultural exception specific to very few localities. Any operator, whether foreign or France-based, that intends to market online gambling services targeting French users needs to apply for a gambling licence with ARJEL. To assess whether an operator targets French users, several criteria will be taken into account, and the authorities will, in particular, verify whether the website is registered with a .fr domain name or drafted in the French language and whether the offered services are blocked for French users or presented in a manner that appears to specifically target French users. For instance, French courts have considered that a foreign-based online gambling website registered with a .fr domain name, containing the mention ‘First Poker Website in France’ and indicating a French contact phone number, should be governed by French law. a Poker games: Texas Hold’em limit; Texas Hold’em pot limit; Texas Hold’em no limit; Omaha 4 High pot limit; Omaha 4 High/Low limit; Omaha 4 High/Low pot limit; Omaha 5 High pot limit; Seven Card Stud Poker High limit; Seven Card Stud Poker High/Low limit; Seven Card Stud Poker Razz (or Low) limit; Triple draw deuce to seven (2–7) Lowball (or low) limit. b Sports betting: a list detailing the sports competitions that can be subject to online gambling and the types of events in such competitions that can be subject to betting (number of goals, final score, etc.) is regularly updated by ARJEL. c Horse betting: a schedule mentioning the horse race events that can be subject to online gambling is published by ARJEL every year. Gambling operators are required to prevent minors, whether or not emancipated, from participating in any gambling activity (the participation of minors in gambling activities is only allowed for very specific types of games, such as lotteries in relation to non-profit purposes, fairground activities and traditional bingos). Licensed online gambling operators must require all players to indicate their age at subscription and upon every subsequent visit to their websites. In addition, their websites must feature a warning stating that minors cannot participate in gambling activities, whose precise contents and appearance are strictly regulated. Any individual who wishes to fight his or her gambling addiction can request from the Ministry of Home Affairs his or her voluntary inscription12 on a list of compulsive gamblers, which is communicated to casino, gaming club and gambling website operators. d require, as part of their account creation processes, that players set a weekly limit on the amounts that can be transferred from their bank account to their gambling account and on the cumulative amount of stakes they can gamble. FDJ and PMU retailers are not required to verify whether players are listed as compulsive gamblers. The rules applicable to online gambling operators are less comprehensive, but ARJEL may refuse to grant a licence to an operator if any of its owners, managers or executive officers has been convicted in the course of the previous 10 years for committing any of a series of criminal offences listed by decree. A guide detailing the technical requirements applicable to online gambling on the ARJEL website provides details regarding the technical requirements that online gambling operators must comply with. In particular, the software (and each new major version of the software) must be approved by ARJEL prior to the beginning of any online gambling operation using the concerned software. Applications shall contain the source code of the concerned software and random number generator, as applicable. It must also contain a security vulnerability analysis detailing the reasons of such vulnerabilities, how they affect the operation of the software and how they can be remedied. The application for approval must also contain a specific analysis that covers potential vulnerabilities and, in particular, establishes through statistical tests that: (1) the generating processes are actually random; (2) the random results are not foreseeable even with a thorough knowledge of the algorithm, the generator and previous results; and (3) generated data series are not repeatable. As the FDJ owns exclusive rights on the organisation of lotteries and land-based sports betting and the PMU owns exclusive rights on the organisation of land-based horse betting, there is actually no licensing process to describe in this section. Licences can, however, be obtained to open casinos in specific locations, as previously discussed. Even though a legal entity or an individual can operate several casinos in different places, each casino must be the object of a single application process and the licence potentially granted will only apply to such establishment. Before a casino can begin operating, the applicant that wishes to become an operator must reach an agreement with the host city and obtain a formal authorisation from the Ministry of Home Affairs, which will remain subject to diverse forms of control by different public authorities and is of a temporary nature. Indeed, the law provides that the duration of the agreement between the casino operator and the city cannot exceed 20 years and that the licences are temporary themselves. ARJEL only issues licences to operators that have the technical, economic and financial capacity required to comply with their obligations, both in terms of gambling service and in terms of public order protection, anti-money laundering, public security, and the fights against terrorist financing and compulsive gambling. Licence fees vary depending on the number of applications (€5,000 for a single application, €8,000 for two applications and €10,000 for three applications). In addition to this initial application fee, operators must also pay an annual fee of €20,000 for a single licence, €30,000 for two licences and €40,000 for three licences. Operating online gambling services targeting French users without a licence can be punished by a fine of up to €90,000 and imprisonment of up to three years. Such sanctions can be increased to €200,000 and seven years where the illegal online gambling offer is made by an organised group.17 Even though foreign-based operators targeting French users could in theory be punished by such sanctions, ARJEL usually begins by informing them of their obligations under French law by sending them a formal notice requiring that they immediately cease targeting French users and that they block any access to their website by French users. Such requests are generally followed by the foreign-based operators, and proceedings very rarely go further than this first step. ARJEL may also impose administrative fines, whose amount may vary with the seriousness of the breach, the status of the online gambling operator, the damaged caused by the breach and the benefit derived from this breach. In any event, such sanction cannot exceed 5 per cent of the online gambling operator’s turnover over the previous financial year (increased to 10 per cent for repeated breaches). Should a breach occur during the first year of business of an online gambling operator, the sanction shall be capped at €150,000 (or €375,000 for repeated breaches). Gaming debts are not actionable. The French Civil Code expressly provides that ‘the law does not grant any action for a gaming debt or for the payment of a bet.’21 A player against which an action for payment of a gambling debt is being brought could therefore invoke this gambling exception and attempt to escape payment. However, the gambling exception shall be opposable even to licensed operators, where the debt relates to loans knowingly granted for the purpose of financing gambling. The internal controls implemented by online gambling operators must comply with the requirements specified by ARJEL,24 which is responsible for ensuring compliance with the anti-money laundering legislation by licensed online gambling operators. Online gambling operators are also required to comply with any asset-freezing measures issued by the French authorities over the funds of any concerned individual or legal entity. Diverse forms of taxation and social contributions are imposed on the lottery tickets sold by the FDJ, for a total representing about 25 per cent of their costs. Casinos are subject to progressive taxation, which varies depending on the total amount of their gross gambling revenue. Gaming clubs are subject to a similar form of taxation. A player’s casino gains in excess of €1,500 are subject to 12 per cent taxation, which shall be directly collected by the casino. Sports and horse race betting operators (whether land-based or online) and online poker operators are subject to taxation based on the total amount of wagers, as well as a social security contribution. In addition, a specific tax applies on the commissions earned by French companies on amounts bet on French horse racing events from abroad. In addition to the various taxes imposed on the national and local level, each sport betting operator must execute an agreement with the relevant sports federation for the purpose of specifying the cost of the ‘betting right’ to be paid by the operator to the federation. As a general principle under French fiscal law, gambling gains are not subject to income tax.25 The interests generated by such gains, however, are subject to such taxation, and winners of important gains could be subject to the French wealth tax, but the law has recently been modified to only apply to real-estate wealth. Gains earned by professional players that appear to depend more on skill and strategy than on mere chance (notably with the game of poker) shall be filed with tax authorities as non-commercial profits, and are indeed subject to French income tax. For the purpose of the enforcement of such law, any person who earns substantial and regular amounts by playing games, so that such activity should be regarded as professional, shall be considered a professional player. In addition to the traditional rules applicable to advertising in France, advertisements that relate to gambling are subject to a number of additional specific requirements. Any advertisement for a licensed gambling operator must be clearly identified as such and it must contain a specific warning against compulsive gambling (containing a telephone helpline for compulsive players and a link to the website equivalent if the advertisement is made online). Following a trend largely followed in the video game industry, an AAA video game released worldwide offered players the possibility to buy loot boxes, consumable virtual items that can be redeemed to receive a randomised selection of further virtual items, to unlock contents within the game. It has been estimated that around €2,000 or 4,500 hours of play would be necessary to gain access to the entirety of the game. c those contents can sometimes be resold, which clearly evidences the fact that those virtual contents do have a monetary value. However, no sanction was ever imposed on the editor of the concerned video game, and the president of ARJEL concluded that a regulation of this sector appears improbable in the short term. Indeed, ARJEL had very similar interrogations at the time of the rise of social gaming online, but its interrogations were not followed by any concrete action and still no regulation of social gaming exists in France, several years later. Since the entry into force of French Law No. 2016-1321 dated 7 October 2016, the general ban on sweepstakes no longer applies to e-sport competitions involving competitors’ physical presence, provided participation costs are lower than a fraction of the total organisation cost, including the total price of the rewards at stake (the rate of the fraction and the maximum amount are set by decree). Such competitions are subject to prior declaration to public authorities. Online e-sports competitions must not be subject to participation costs, but the law clearly indicates that internet access fees and the cost of the acquisition of the video game concerned cannot be considered a financial sacrifice. In a decision that followed a request for information from several online gambling operators and companies interested in offering online fantasy league games in France, ARJEL expressly stated that such games should be regarded as elementary bets under pool betting and that licensed sports betting online gambling operators could therefore offer them lawfully.27 ARJEL slightly adjusted its list of authorised bets for such purpose and, in order to prevent any potential fraud, imposed that gambling on fantasy leagues only be offered as pool betting and be limited to combined bets consisting of at least 10 elementary bets. Paris still remains the only European capital in which there is no casino. In addition, as previously discussed, all but one of the French gaming circles have closed down, as the newly created status of online club came into effect at the beginning of 2018. However, as at the time of writing, a few months after the gaming club licensing process was implemented, the first French gaming club has not yet opened its doors to the public. It appears that the competent authorities received fewer applications for licences under this new status than they had initially expected. This can be explained by the fact that gaming clubs are only allowed to offer games of poker, baccara, punto banco and mahjong. Blackjack, roulette and gambling machines cannot be offered by gaming clubs, despite the fact that such games are the most commonly played in French casinos. However, several prominent casino owners in France have since indicated that they either have or will submit applications, and the first Parisian gaming club should be open to the public soon. ii Towards partial privatisation of the FDJ? The French government recently indicated that it was considering the possibility of selling FDJ shares, but had not made any final decision as to the importance of such participations or to the manner in which such participations would be put on the market. The French government has not disclosed any detail regarding its exact intentions, but the Agence des Participations de l’Etat (the public agency responsible for representing the state in companies in which it holds a participation) was asked to prepare a report on the government’s options, should it decide to go forward with partial privatisation. 1 Alexandre Vuchot is managing partner, Cathie-Rosalie Joly is a partner, Rami Kawkabani is an associate and Samy Smaoui is a senior associate at Bird & Bird AARPI. 2 Article L.322-2 of the HSC. 3 One should be aware of the fact that a casino does exist in Enghein-les-Bains, a small city located less than 15 kilometres away from the centre of Paris. This casino first opened in 1901 and beneficiated from a specific exemption allowing it to reopen in 1931. Such legal exemption still applies today. 4 Law 2017-257 of 28 February 2017 relating to the status of Paris. 5 Article L.321-1 of the Homeland Security Code. 6 Articles L.324-1 and L.324-2 of the Homeland Security Code. 7 Article L.321-3 of the Homeland Security Code. 8 Decree 2017-1306 relating to the operation of retailers of lottery games, sports betting and horse betting, and to racing companies. 9 Decree 2008-612 relating to the organisation of the central administration of the Ministry of Home Affairs. 10 Decree 85-390 relating to the organisation and operation of sport forecast games. 11 Decrees 2007-728 and 2007-729 of 7 May 2007. 12 The only individuals whose inscription on this list is not voluntary are criminally sentenced individuals, whose inscription has been requested by a judge or people whose conduct is likely to disturb the proper operation and tranquillity of gambling establishments. 13 Order dated 15 July 1947 on the regulation of games in clubs. 14 Order dated 14 May 2007 on the regulation of games in casinos. 15 Article 21 of the Online Gambling Law. 16 Decree 2010-482 dated 12 May 2010. 17 Article 56 of the Online Gambling Law. 18 Article 61 of the Online Gambling Law. 19 Article L.563-2 of the French Monetary and Financial Code. 20 Article 43 of the Online Gambling Law. 21 Article 1965 of the Civil Code. 22 Decision of the Cour de cassation, mixed chambers, 14 March 1980, 79-90.154. 23 Article L.562-1 et seq. of the HSC. 24 ARJEL Decision 2011-025 dated 24 February 2011. 25 Article 126 of the General Tax Code. 26 Article 7 of the Online Gambling Law. 27 ARJEL Decision 2016-030 dated 14 April 2016.